Ivey's first cash since January 2016 is worth $604,977. The first-ever live Short Deck tournament has crowned a champion as part of the 2018 Triton Super High Roller Series Montenegro at the stunning Maestral Resort & Casino in Budva, Montenegro. 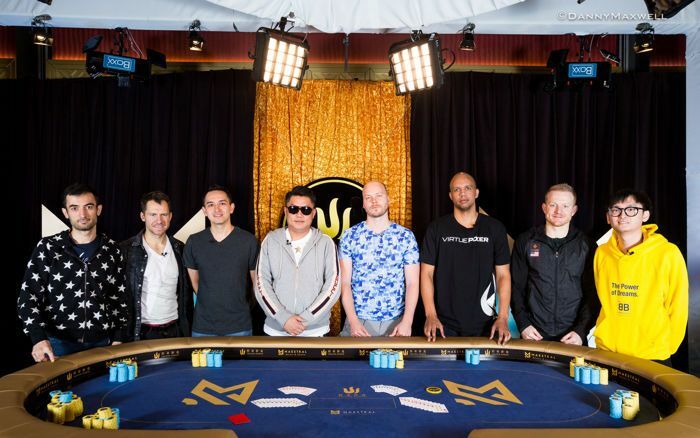 None other than poker superstar Phil Ivey has returned to the live poker spotlight by defeating Dan "Jungleman" Cates heads-up, winning the event for $604,977. Ivey: "It still feels good, I am looking forward to the events with bigger prize pools and hope to win some more." 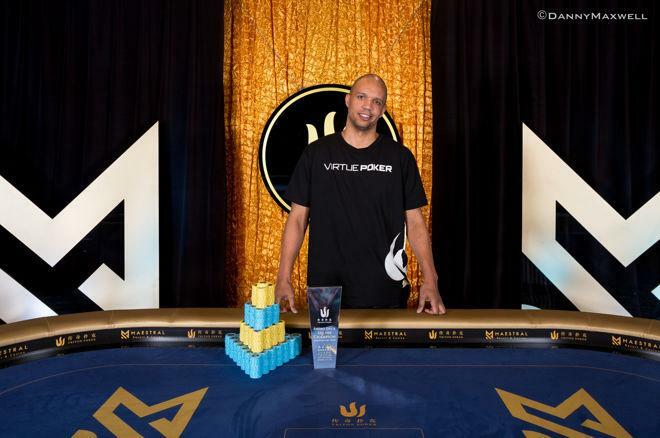 It was a master class of strategy and determination that saw Ivey overcome a 1-4 chip deficit at the start of the heads up duel to grind down his opponent and take home the lion's share of the HKD$14,347,200 prize pool. The first tournament of its kind on the live poker circuit attracted a field of 61 entries. The ante only format came with a buy-in of HKD$250,000 (~$31,850) with the top nine spots getting paid. After winning the opening event, Ivey immediately set his eyes on the remaining schedule of the high stakes festival. In the winner's interview, he said: "I feel pretty good, and it's always good to have a great start." When asked about his first tournament win, which came 20 years ago back in 1998, Ivey joked that he might become old, then set the sights to the next days here in Montenegro. "It still feels good, I am looking forward to the events with bigger prize pools and hope to win some more." 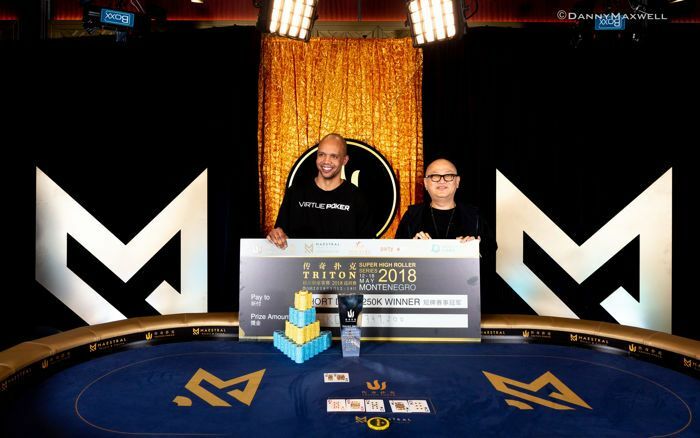 For his victory, Ivey claimed a payday of HKD$4,749,200 (~$604,977) and the prestige to be the first player to win a live event of this action-packed game type that has become very popular in the high stakes cash game scene in Asia. Dan Cates narrowly missed out on another Triton Super High Roller Series trophy after the win in the HKD$200,000 6-Max Event in Manila back in 2016. Alan Sass started the day as chip leader but that all changed within the first half an hour of play. On the outer table, Gabe Patgorski pulled ahead of the pack winning a big pot off Dan Cates and sending Mikhail Smirnov to the rail to set up the unofficial final table of eight. In the same hand on the feature table, Sass doubled Furkat Rakhimov and was suddenly the shortest stack. 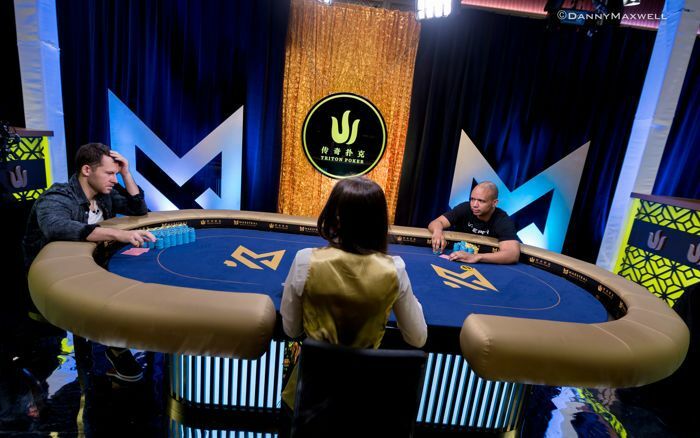 Cates immediately doubled back through Wai Kin Yong with aces versus ten-nine to jump up the leaderboard, while Yong never recovered from the setback. Yong and Sass busted in a three-way all in to Gabe Patgorski when the latter snap-called the two shoves with pocket queens and flopped a set. That double elimination sparked frantic action right after and Ivan Leow, as well as Furkat Rakhimov, joined the rail within a few minutes after to reduce the field to just four players. "I feel pretty good, and it's always good to have a great start." Jason Koon was very active at the tables to grind up a stack, but his roller coaster ride ended in fourth place. Koon three-bet all in with ace-jack and was called by Gabe Patgorski with ace-king. A king on the flop left Koon in need of a runner-runner miracle, but the American pro failed to get there. Down to the last three, Patgorski was still at the top of the counts, but the final trio soon found themselves with nearly even stacks. Ultimately, Patgorski, who has been playing Short Deck cash games for around a year, had to settle for third place. He three-bet all in as the second-biggest stack with ace-queen, and Dan Cates quickly called with pocket kings. Cates saw his hand hold up and entered heads-up with a commanding lead. While Phil Ivey was the clear chip underdog, his strategy to keep the pots small and grind up a stack worked out perfectly, and he often left Cates with the second-best hand. Dan Cates pulled back to almost even stacks before dropping back some. He eventually got it in with ace-seven suited for a gutshot and the nut flush draw on a king-high turn. Ivey called with queen-jack suited for the straight and dodged the combo draw to take down the first of four events at the Maestral Resort & Casino. This was Phil Ivey's first recorded cash since January 2016 when he finished fifth in the $200,000 Triton Super High Roller in the Philippines for $656,500. Ivey's last victory, and the earliest cash besides the aforementioned fifth place, came from February 2015 when he triumphed in the Aussie Millions A$250,000 event for A$2,205,000 ($1,710,854). Day 1 of Triton Poker Montenegro's HKD$250,000 6-Max No-Limit Holdem Side Event II is underway and the PokerNews live reporting team is at it to bring you all the live updates.